One by one planting by it’s specıal pneumatic system. Power take of (P.T.O). 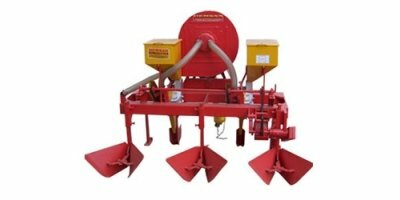 By way of changeable stainless steel disc plates you can plant corn, sugar beet,chickpea, lentil, bean, pea etc. 0,6-0,7 hectare/hour (6-7 decare/hour) planting capacity. 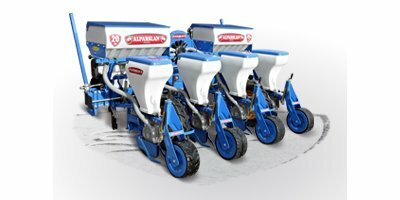 By Gungor Agricultural Machinery based in Malkara, TURKEY. This Mounted Precision Pneumatic Planter is a machine developed according to different agricultural and environmental conditions for the common needs of the vegetable manufacturers. Usually it is more appropriate to prefer where there is no straw waste on the field and for the planting of delicate seeds. On the machine, pressure and depth settings can be adjusted with the help of the wheel positioned at the rear of the unit. 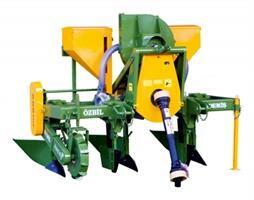 For coulter type machines, fertilizer legs are also produced in spring load coulter type.